Social network shows it's serious about building custom silicon with latest hire. 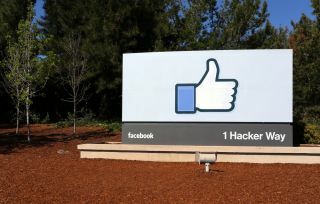 Facebook could soon be joining the likes of Apple, Google and Amazon in making its own custom chips as its latest hire is a sign that the social network is serious about building its own semiconductors. This month the company hired Shahriar Rabii as a vice president and to head up its silicon division. Rabii previously worked at Google where he held a similar position leading the team in charge of building the chips that power its Pixel smartphones, specifically its custom Visual Core chip. According to people familiar with the matter, Rabii will work under Facebook's head of virtual and augmented reality, Andrew Bosworth which implies that he may be designing chips for the next version of the Oculus Rift. Earlier this year, Facebook began forming a team to design its own chips in-house. The social networking giant is working on semiconductors which can be used in a variety of applications from data processing to artificial intelligence. The move towards designing its own chips is part of a wider trend across the tech industry as device manufacturers look to break free from their reliance on chipmakers such as Intel and Qualcomm. For instance, Apple is working on its own processors which the company hopes to use in its Mac products as it already does with the iPhone and iPad. It will likely be some time before we see Facebook's custom chips in its devices though they could very well power a future version of the Oculus Rift or even be used to boost its AI abilities.